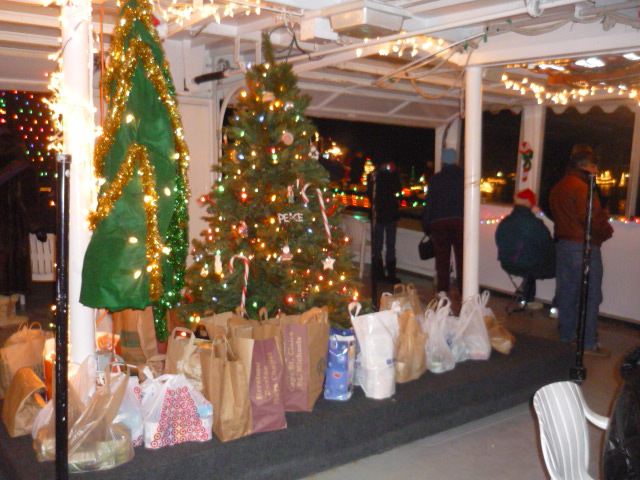 Watermark is excited to host “The Queen of All Food Drives” during the annual Eastport Yacht Club Lights Parade on Saturday, December 8 from 5:30-8:30 p.m on the Harbor Queen in Annapolis. The holiday food drive benefits the Anne Arundel County Food Bank. 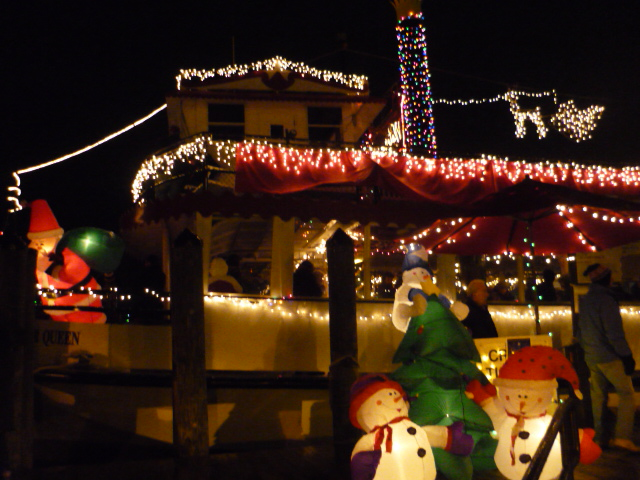 For a donation of non-perishable food items, pet food, or a monetary donation, guests can watch the Eastport Yacht Club Lights Parade from Harbor Queen at the end of City Dock, a prime viewing location for this Annapolis holiday tradition. Watermark’s crew and staff members will decorate Harbor Queen in bright holiday lights and décor. The boat will stay dockside for the evening with entertainment onboard. The Anne Arundel County Chamber of Commerce is also a sponsor. In addition to the festive décor and the great view of the parade, there will be complimentary light snacks onboard and a full cash bar with a portion of proceeds benefitting the Food Bank. The Chesapeake Revelers will provide live entertainment through great songs and stories. This group of dedicated performers from the Chesapeake Theater Company and Chesapeake Youth Players can be found in seasonal venues throughout the region. Appearing in period costume, the Victorian carolers donned in top hates, capes, holly and ribbon will wassail and make merry with all! The public is encouraged to dress warmly and bring their holiday spirit to Annapolis City Dock to help those in need while enjoying a festive Annapolis tradition. Donations of non-perishable food items, pet food, or monetary donations will gain access to the viewing platform on Harbor Queen to watch the EYC Lights Parade. A suggested donation value is $10 per person. The event is “open house” style with guests free to come and go throughout the evening. On-leash pets are welcome onboard. Representatives from the Food Bank will be in attendance. There are no advanced reservations; guests should walk up to Harbor Queen’s slip at the end of City Dock for the festivities. This is the seventh “Queen of All Food Drives.” Inspired in 2011 by Claudette McDonald, longtime Watermark staff member, the event has raised approximately $11,000 and collected 2500 pounds of food for the Food Bank. The food drive will benefit our area’s neediest citizens.